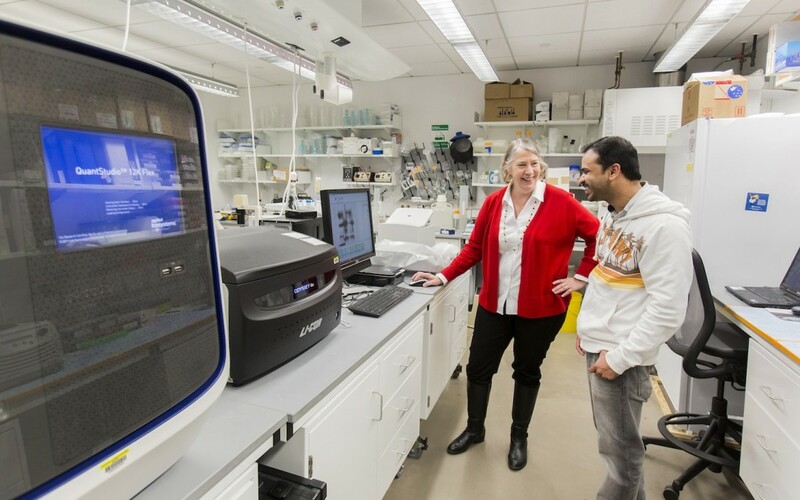 With all of the technical resources available in the Kendall Square area, why do Cambridge-based Platelet BioGenesis scientists travel to the UMass Boston campus one day per week to use the animal facility and confocal microscope? Startups in research heavy fields scramble to find the high-powered microscopes or advanced fabrication equipment available to use on an hourly or daily basis since they must stretch their funds to prove out their technologies. Universities are starting to meet their needs. Going even further, in 2018, UMass, the third-largest research university in Massachusetts with $670 million in research expenditures, announced an Innovation Voucher Program. Any small and medium-sized business headquartered in Massachusetts, whether or not affiliated with the university, is eligible to use over 90 collections of advanced instruments across the five-campus UMass system. The state of Massachusetts provided $2 million worth of funding for vouchers (another $2 million was added for 2019). This will allow businesses with 10 or less employees to use the facilities at a 75 percent reduced cost, while those with 50 or less employees will be able to use the facilities at a 50 percent reduction. In 2018, 90 project vouchers worth $1,243,276 were awarded. With these state incentives, startups can use the core facilities to develop prototypes and test new devices at a lower cost. Similarly, small established companies, especially manufacturers, can create prototypes to bid on contracts without having to make large investments beforehand. Boston-based Silicon Therapeutics is using an NMR at UMass Amherst for data collection and analysis. Cambridge-based Lysosomal Therapeutics is using a core facility at UMass Lowel for RNA-seq analysis. And Newton-based Orionis Bioscience, Inc. is using the Mass Spectrometry facility at the UMass Medical School. Innovation Voucher Program champion Robert DeLeo, Massachusetts House Speaker, said when the program was announced: “Not only does the program give businesses a competitive edge, it also challenges students to … connect with companies looking for new employees.” That’s been the case with Fluid-Screen, whose engineers field dozens of questions from students. There’s another advantage for universities which have made significant investments in research facilities and infrastructure that they must sustain. The partnership with companies helps share some of the financial burden. With careful management, it can be a win-win. Learn about the core facilities at UMass, and apply for the Innovation Voucher Program here. A detailed list of equipment and expertise at UMass Boston is here.